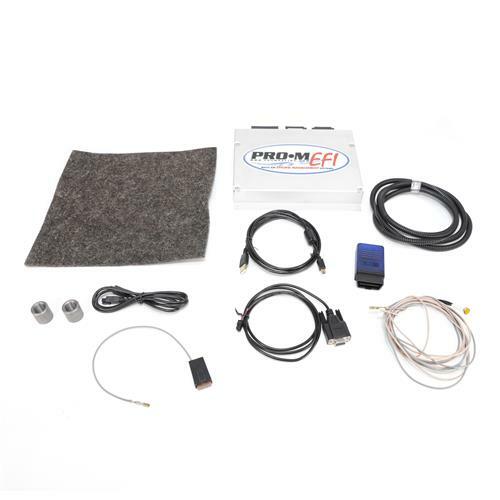 Convert your 1986 Mustang to OBD2 while improving horsepower with this Pro-M EFI engine management system! 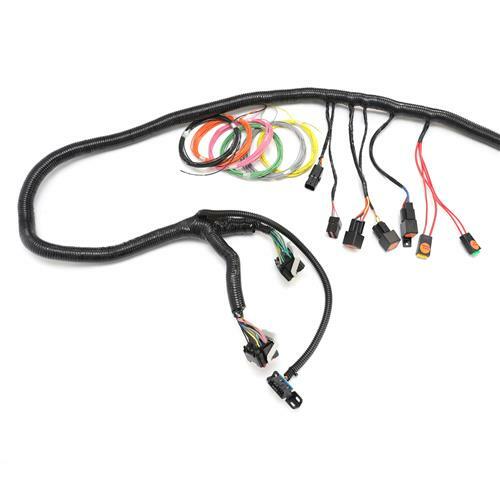 This 1986 Mustang Pro-M EFI engine management system is a great way to easily tune the pushrod motor in your Foxbody! 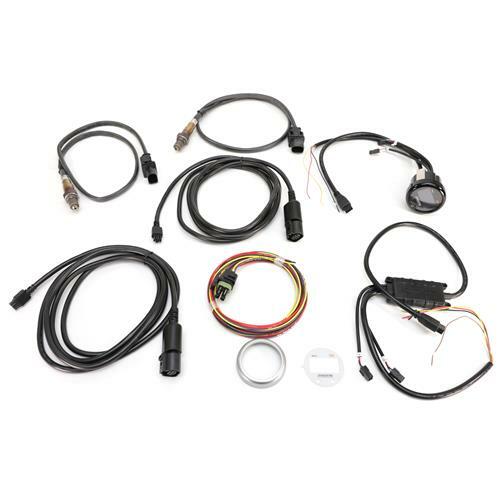 With a fully programmable Pro-M EFI processor, tuning software, and a Foxbody specific engine management harness, this kit helps increase horsepower and engine efficiency. The kit features factory style connectors for a direct replacement bolt on system. There is no need to buy anything else when purchasing this engine management system, no spark controllers, no Boost Timing Module (BTM), no nitrous controller. Everything you could ever want to do to an engine can be controlled with the Pro-M EFI processor! Simply download and fill out the tuner form below to get your custom tune created! 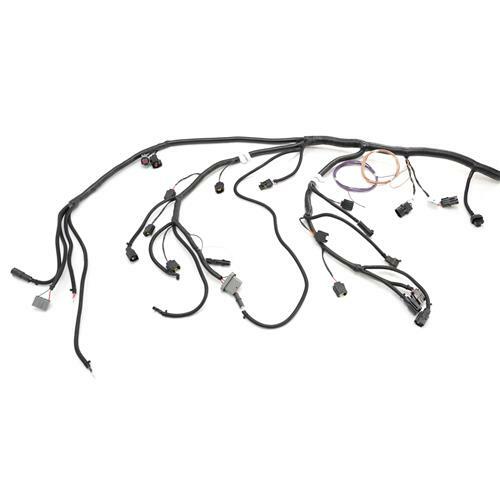 This 1979-1993 Mustang Pro-M EFI engine management system is a great way to easily tune the pushrod motor in your Foxbody! 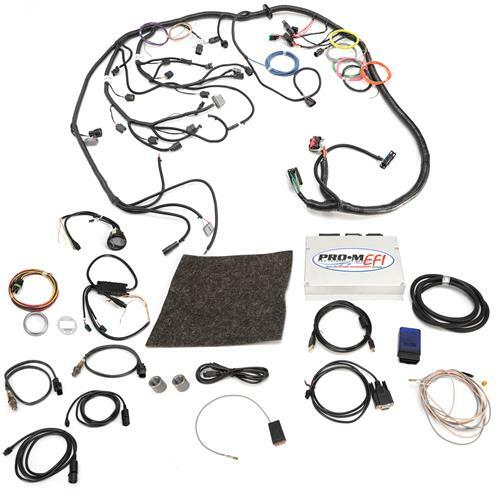 With a fully programmable Pro-M EFI processor, tuning software, and a Foxbody specific engine management harness, this kit helps increase horsepower and engine efficiency. The kit features factory style connectors for a direct replacement bolt on system. There is no need to buy anything else when purchasing this engine management system, no spark controllers, no Boost Timing Module (BTM), no nitrous controller. Everything you could ever want to do to an engine can be controlled with the Pro-M EFI processor! Simply download and fill out the tuner form below to get your custom tune created! Store Unlimited Number of Tunes. Innovate Motorsports Dual Air/Fuel Wideband Gauge. - This kit is not legal for sale or use in California. This will be a very exciting and information-packed three-part series covering the installation process on Pro-M's EFI engine management system! We will cover the removal of the factory harness, the installation of the new harness, as well as show you some very basics within the tuning software. Enjoy!